Thank you to our partners for joining us at our June 28th Citywide Project Advisory Committee (PAC) meeting in Queens. We were happy to welcome many of our partners from across the city to discuss a variety of topics, from our performance on Outcome Measures to how we can continue to foster partnerships between hospitals and community-based organizations (CBOs), which was among the agenda items our partners had asked OneCity Health to focus on in the post-meeting survey following the March 14th PAC meeting. To begin, we focused on performance at the state-level. On June 1, 2018 the New York State Department of Health announced that it had passed its first federal test of the Delivery System Reform Incentive Payment (DSRIP) program on four statewide performance measures: metrics performance, projects, Medicaid spending and Managed Care plan expenditures. 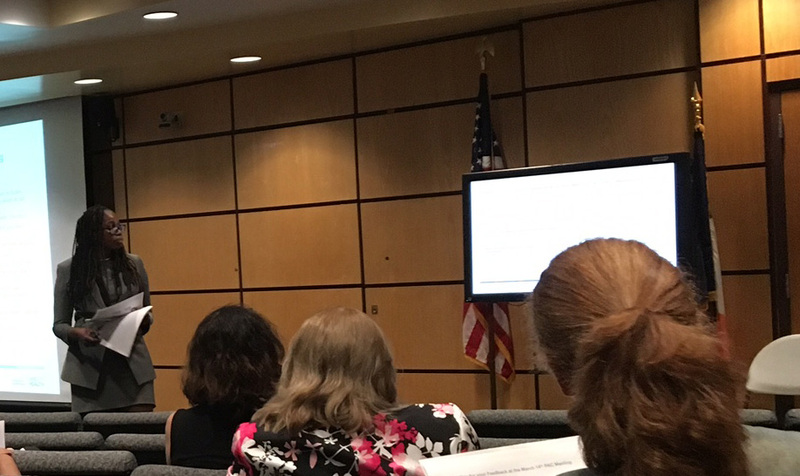 Focusing on the OneCity Health Performing Provider System (PPS), we discussed our results on Outcome Measures tied to the DSRIP program in Measurement Year (MY) 2 (July 1, 2015 – June 30, 2016) and MY3 (July 1, 2016 – June 30, 2017). In MY2, we met 11 of the 14 Outcome Measures we prioritized, and 13 of our 25 priority Outcome Measures in MY3. In future PAC meetings and other settings, we will share our results in MY4, and continue to discuss how we are meeting our objectives in MY5, which began July 1, 2018. As we also highlighted at the PAC meeting, OneCity Health is poised to help formalize and deploy strengthened hospital-community partnerships. To start, we will begin to develop Hub Advisory Workgroups. These workgroups will strategize on performance improvement, identify innovate partnerships and innovations, and develop an inventory of partnership needs for hospitals and CBOs. A Coordinating Community Bridge partner will help facilitate their work. We will continue our discussion on hospital-community partnerships on our July 10, 2018 OneCity Health Partner Webinar, and continue to keep our partners updated on developments. For our partners who were unable to attend the meeting, the presentation from the meeting is available here. The discussion also included extensive financial updates – including progress on partner payments. If our partners have feedback on the meeting or topics they want to recommend for the agenda at the next PAC meeting, please reach out to our support desk. We look forward to our continued partnership and collaboration.